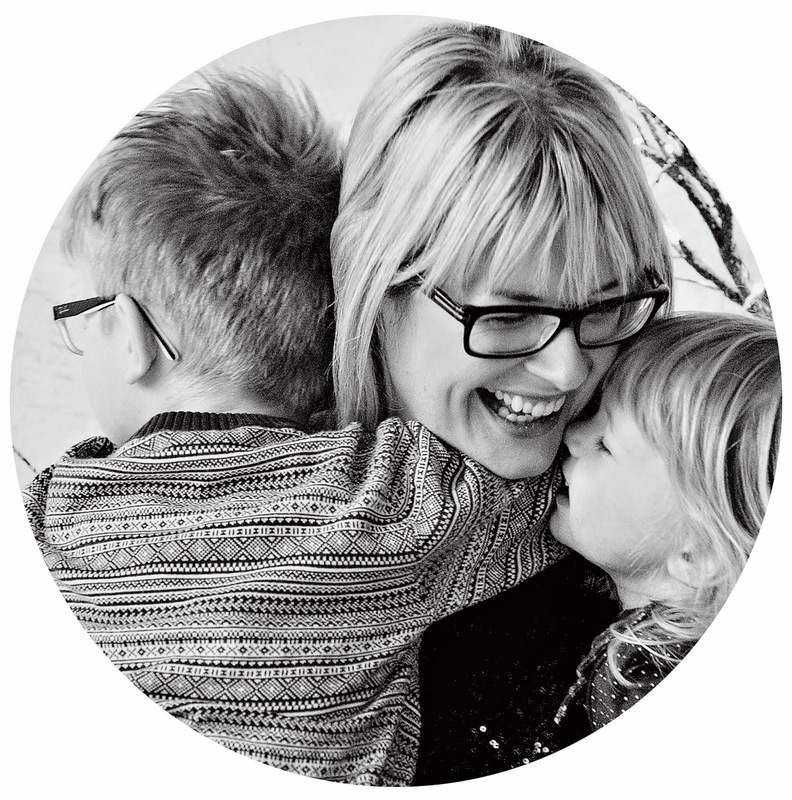 Joining in with Love the Little Things, a weekly linky organised by Morgana at But Why Mummy Why. My daughter attempt to ride her new bike. 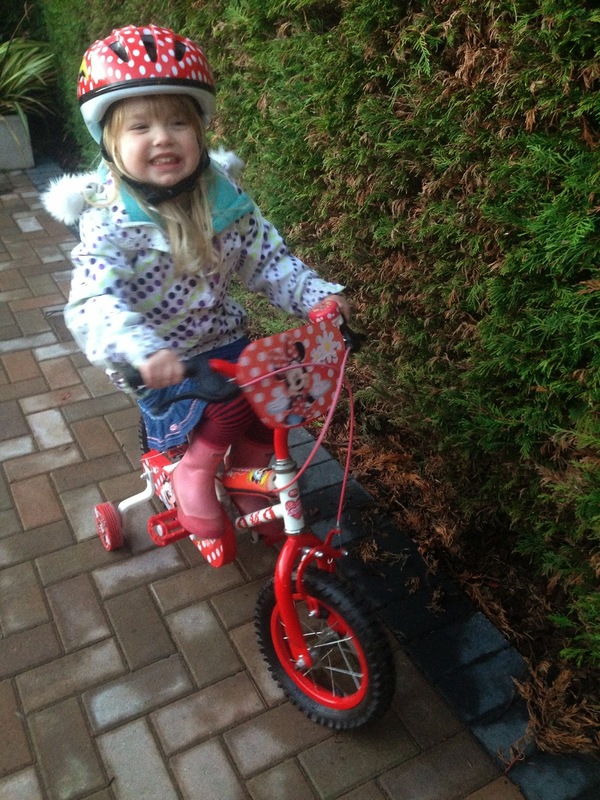 This is her first bike with pedals, which we got on Gumtree last week. Progress is slow, but I'm sure she'll get to grips with it soon enough. So I've had two PT sessions now and it's going ok. The sessions themselves are brilliant and I thoroughly enjoying the boxing that we've been doing. My muscles ache the next again day which I think is a great sign. What I'm not so good at is keeping up the good work at home. By the times the kids are in bed I'm utterly exhausted and jumping around, even though it's only for 15 minutes, is not high on my list of priorities. What I need to start doing is getting the kids involved and doing the exercises as a family during the day. Today we had a play date after school so I've still not done my workout. I will do it before I go to sleep though!! Here I am in the studio!! I've also been wearing these amazing fingerless gloves that my dad's wife left for me at the house. The colours are perfect for me! Here I am on the nursery run, in full waterproof gear and a hot juice to keep me toasty warm! A glowing report from my son's school teacher at his first parent's night. I was extremely proud and nearly had a tear in my eye when she said that he was a credit to me & his dad. I occasionally worry that my decision to separate from their dad will have a negative impact on the kids, but my son has settled amazingly well into school and is a bright, well adjusted wee fella! I thought I'd try the DIY Sharpie pen mug that I've seen on Pinterest, but I'm not sure it's all that great tbh. I got a gold Sharpie at the supermarket as well as their cheapest mug. I drew on some polka dots and then baked the mug for 30 minutes at 180 deg C. But afterwards I took my nail to one of the dots to see if it would scratch off, and it did. Rather disappointed! We also made a start on some other Christmas presents; the littlest and I made a few trinket boxes at Cafe Ceramico in East Kilbride. And I've been busy doing a wee bit of DIY at the house. I finally hung these Laura Ashely spoon hooks in the kitchen. We now have a spot to put tea towels, oven gloves and aprons without the kittens getting at them! Although the spots rub off the cup looks lovely, well done to you on your sons report (and to him too) and to your daughter on learning to ride a bike! What a lovely, full #littleloves post!